LinkedIn has rebranded LinkedIn Company Pages to LinkedIn Pages. 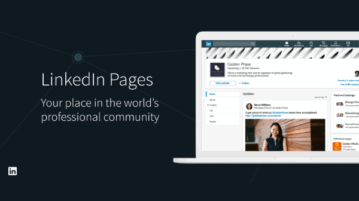 With this rebranding comes new features that make LinkedIn Pages a lot more useful. 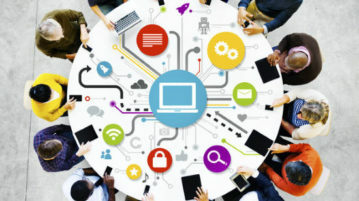 Too many tools are coming out for Enterprise Communication. This article takes a look at future of such tools and which ones have best chances of survival. 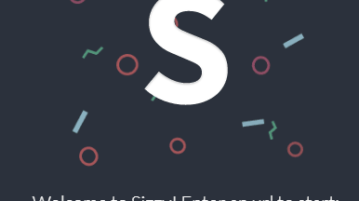 This website lets you test responsive website on multiple devices in one go. Test on Android and iOS devices and also mobiles as well as tablets. Use this extension to quickly open multiple websites in Incognito Mode in Firefox in just one click. 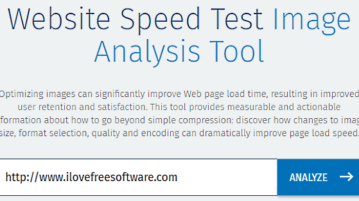 Analyze all images on your website to find images that are not optimized and also see how website speed can be improved by optimizing images. 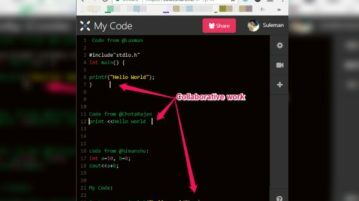 Here is a free website to collaboratively code online with multiple users. You can work on same piece of code with your friends in real-time, do video chat. 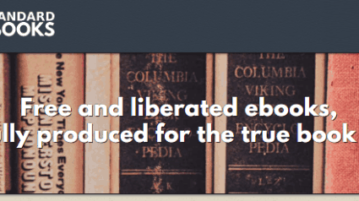 Standard Ebooks is a free website that provides classic eBooks, that have been formatted for modern eBook readers. Completely free ebook downloads. 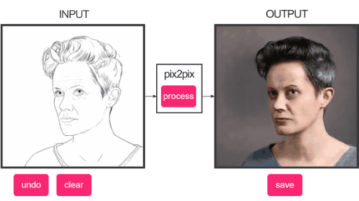 This website lets you convert sketch to photo online. Just draw any line drawing and it will convert that to photo. 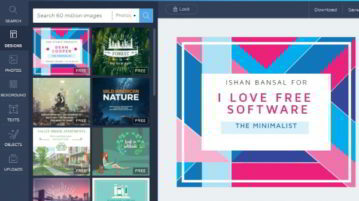 Crello is a free online social media post designer. 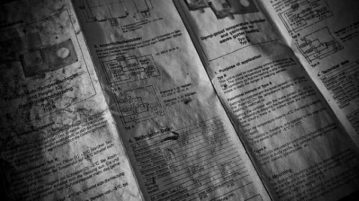 Using this online design tool, design Facebook posts, Twitter Posts, social media covers, invitations, blog graphics, and a lot more. 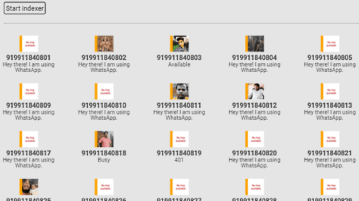 This tutorial explains how to bulk collect Whatsapp profile picture, status message, and online status for phone numbers that are not in your contact list. 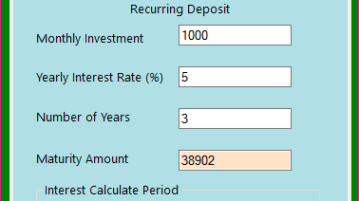 Here are 3 Free Recurring Deposit Calculator software that let you calculate interest earned, and final maturity amount for recurring deposit. This tutorial explains how to add Sort by Number of Reviews option to Amazon. You can use that to sort Amazon products by Number of Reviews easily. 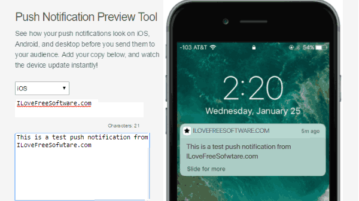 Push Notification Preview Tool is a free website that lets you preview push notifications on Android, iPhone, and desktop. No sign up required.